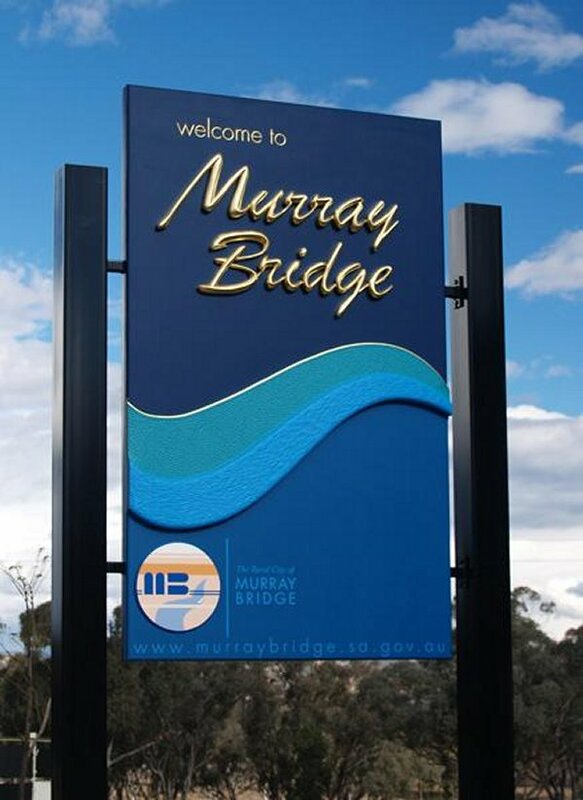 The Rural City of Murray Bridge is situated 78kms east of Adelaide where the South Eastern Freeway meets the Murray River. It is the Regional Centre for the Murraylands with large supermarkets and a variety of specialty shops. Murray Bridge has large abattoirs and other industries, exceptional educational and medical facilities, and a variety of stores. Home of three bridges, it is a vibrant oasis for water sports, boating, fishing & swimming and houseboating. The climate is “Mediterranean” with hot dry summers and moderate winters. There is a heated swimming pool, immaculate golf course, an excellent horse racing complex, popular speedway and many other sporting centres. Sturt Reserve on the town’s riverfront is a popular picnic area with a playground, cruises and is the venue for many functions. A variety of restaurants & take-a-ways are available, with entertainment hotels & clubs. There is a cinema, ten pin bowling centre and regular old style dances. Ngurundjeri shaped the Murrundi (Murray River) when chasing a giant Pondi (Murray Cod) through the countryside of South Australia which formed the river valley. When chasing Pondi near Murray Bridge Ngurundjeri threw his spear which missed the fish and was transformed into Lenteilin (Long Island) in the lands of the Ngarrindjeri people. Pondi was speared further South and the fish thrashed about while dying creating lakes Alexandrina and Albert. When Pondi had died Ngurundjeri cut the fish into pieces that became the different species of fish found in the Murray River. The Ngarrindjeri Nation which includes Lower Murray, Fleurieu Peninsula and Coorong is made of many clans. Moop pol tha wong which means “haven for birds” was named by Ngaralta, the local tribe. Moop pol tha wong is known as Mobilong. Captain Charles Sturt and his crew rowed a whale boat down the river in 1830 to see where the westward flowing river went. 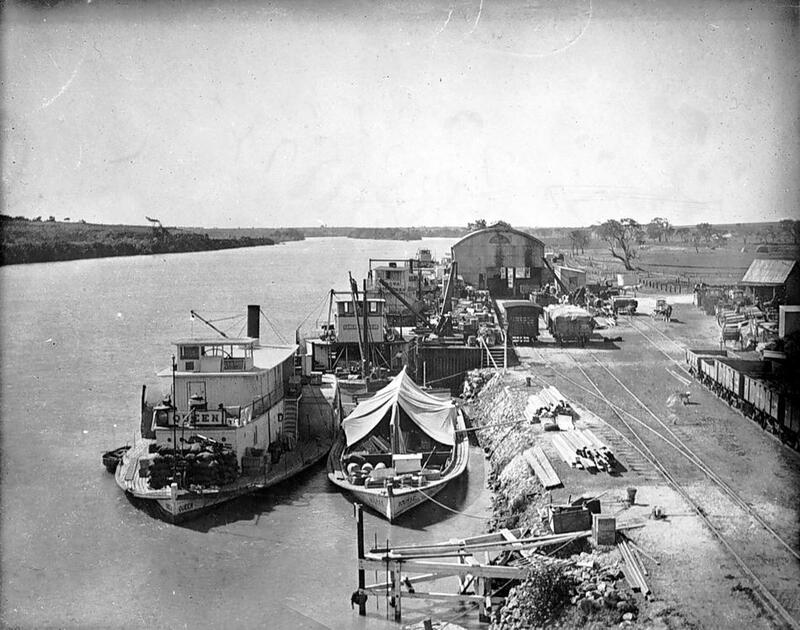 They explored the large river which was named River Murray by Captain Sturt. Where Sturt Reserve is now is where the party camped on the 8th of February 1830. The group was disappointed when they reached the mouth of the river as they saw it would be too difficult for ships to navigate because of the sandbars and the unpredictable Southern Ocean. In 1839 when a crossing of the river was established at Swanport (Thompson’s Crossing) drovers passed through the area. Later on in 1846 the township of Wellington was established then Monarto in 1847. Rural leases were supplied in 1851 and the first paddle boat was in 1853. In 1856 the first European Family settled near Hume Reserve. Nearby a stock crossing became known as Edwards Crossing.